Q: When this is necessary? 1. 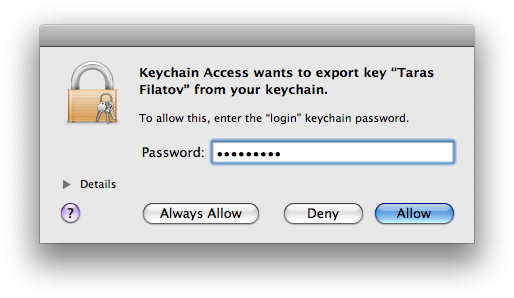 To export your private key and certificate for safe-keeping and for enabling development on multiple systems, open up the Keychain Access Application and select the ‘Keys’ category. 2. 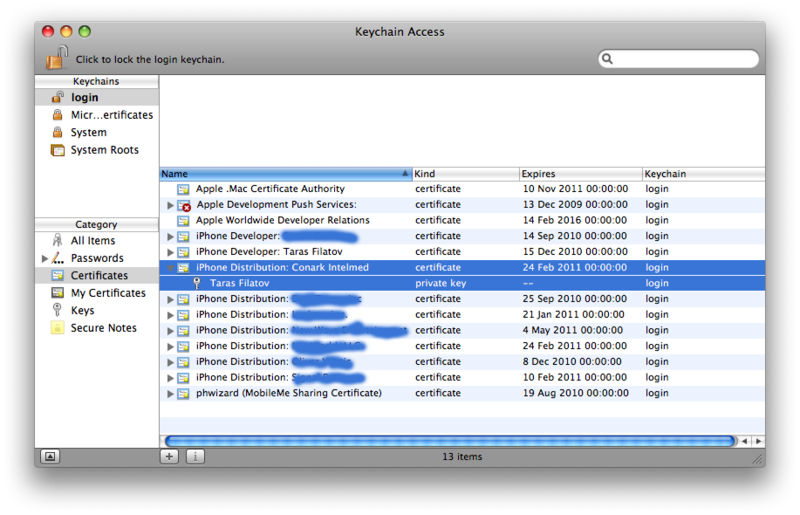 Control–Click on the private key associated with your iPhone Development Certificate and click ‘Export Items’ in the menu. The private key is identified by the iPhone Developer: <First Name> <Last Name> public certificate that is paired with it. 3. 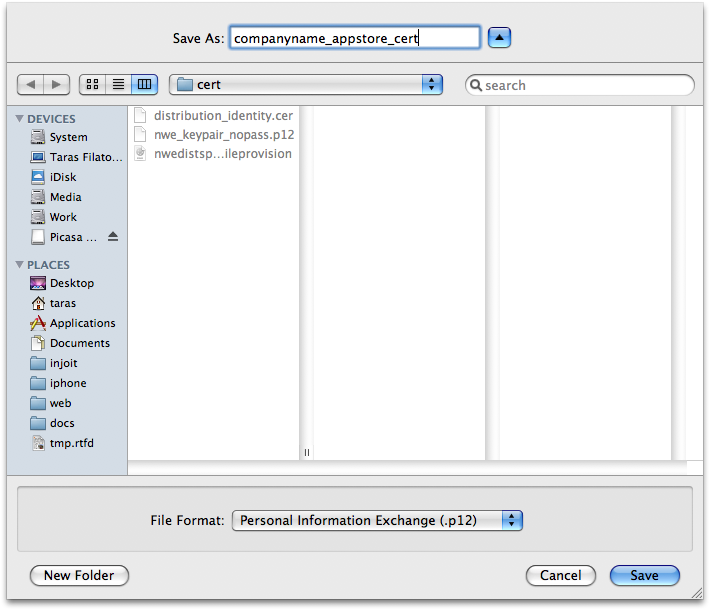 Save your key in the Personal Information Exchange (.p12) file format. 4. 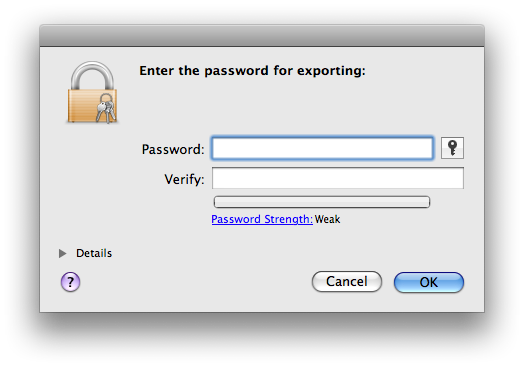 You will be prompted to create a password which is used when you attempt to import this key on another computer. 5. You can now transfer this .p12 file between systems. Double-click on the.p12 to import it to another system. You will be prompted for the password you entered in Step 4. 3. Right click and choose "Export 2 items..."
That's it, send us the .p12 file you have obtained.